Demand for the Pound (GBP) has been limp as investor await major UK political developments, making it easier for the Euro (EUR) to keep the Pound Sterling to Euro (GBP/EUR) exchange rate pressured near its worst levels. While movement this week has been modest compared to last week’s plummet, GBP/EUR has still slipped from the week’s opening levels of 1.1235 and currently trends just above a November low of 1.1210. Investors have been hesitant to buy the Pound this week. Despite signs that the UK and EU will finalise a Brexit deal this weekend, markets are more concerned that such a bill will not be able to pass through UK Parliament. Meanwhile, the Euro has advanced slightly despite ongoing tensions between Italy and the EU regarding Italy’s budget. This is because analysts predict that Italy and the EU will be able to reach some kind of agreement. UK Prime Minister Theresa May is currently in the process of finalising the agreed UK-EU Brexit deal, in preparation of an emerging EU summit due to be held on Sunday. 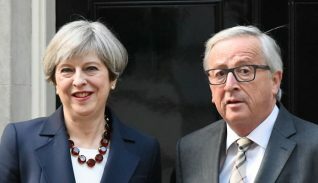 The UK-EU Brexit deal will be formally finalised by EU leaders during the summit, after which it will be Prime Minister May’s goal to bring it back to Britain and pass it through Parliament. This is where market uncertainty lies however. Investors are anxious that if UK Prime Minister Theresa May lacks the domestic support to pass the Brexit deal, the deal could collapse and lead to a worst-case scenario ‘no-deal Brexit’. Sterling remains unappealing due to a perceived lack of support and persistent ‘no-deal Brexit’ fears. Wednesday’s UK public sector net borrowing results weighed on the Pound too, as the data showed steeper borrowing than expected. As was generally expected, the EU once again rejected Italy’s controversial budget proposal. The anti-establishment Italian government has pledged higher spending and borrowing, but the EU has said they do not meet EU guidelines. However, while markets are anxious that the EU could begin to take disciplinary measures against Italy, analysts are fairly confident that some kind of deal between Italy and the EU can be made. 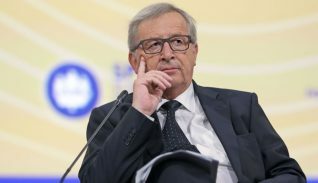 Leaders in both Italy and the EU took reconciliatory tones on Wednesday, saying they were willing to work with the other party to avoid discipline being taken. With Sterling movement likely to remain fairly limp until there are some notable UK political developments, the Euro may continue to drive the Pound to Euro (GBP/EUR) exchange rate towards the end of the week. Friday will see the publication of a slew of fairly influential Eurozone ecostats, including German Gross Domestic Product (GDP) growth data from Q3 and the Eurozone’s November PMI projections from Markit. Any of these figures could influence the Euro if they surprise markets, but investors will be focused on November’s PMI projections which will give investors a better idea of how the Eurozone economy has been performing this month. Notably, German manufacturing is predicted to remain at 52.2. If the figure or any overall Eurozone stats beat expectations, the Euro could strengthen further versus Sterling. This, as well as any signs of productive budget talks between Italy and the EU, would leave the Pound to Euro (GBP/EUR) exchange rate nearer November lows towards the end of the week.